Have you ever found a shark’s tooth or a sand dollar in the Sandhills around the Scotts Valley area? Ten million years ago, water covered California’s Central Valley and emptied into the Pacific Ocean near Santa Cruz. As the Santa Cruz Mountains formed, sand from the sea floor rose, forming the Santa Cruz Sandhills, a unique ecosystem that now comprises less than 4,000 acres of habitat. The Sandhills of Santa Cruz County support rare biological communities comprised found nowhere else in the world. The single rarest ecosystem in Santa Cruz County and one of the rarest in the United States, the Santa Cruz Sandhills is also among the most critically endangered. The Santa Cruz Sandhills are unique communities of plants and animals found only on outcrops of sandy soils derived from marine deposits. The Sandhills includes isolated populations of two lizard species, and the last known population of the Santa Cruz kangaroo rat. The endemic Sandhills communities and species are naturally rare, due to their limited geographic range and narrow habitat. Habitat destruction due to sand quarrying, urban development, and agriculture has reduced and fragmented habitat. As a result, three Sandhills plants (Santa Cruz wallflower, Ben Lomond spineflower, and Santa Cruz cypress) and two Sandhills animals (Mount Hermon June Beetle and Zayante band-winged grasshopper) have been listed as federally endangered. 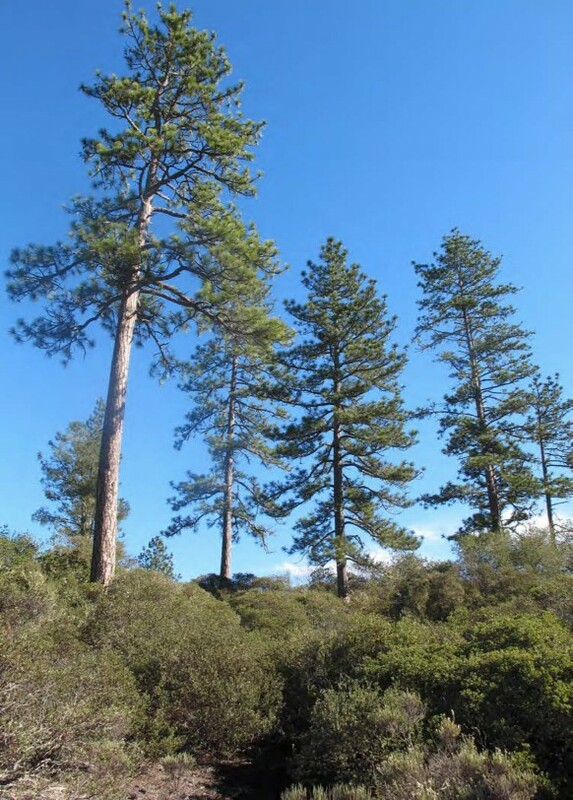 Several other endemic and locally unique plants and animals in the Sandhills are also very rare and the two Sandhills plant communities— maritime coast range ponderosa pine forest and northern maritime chaparral— are listed as sensitive communities in the California Natural Diversity Database. As a result of habitat loss, the Mount Hermon June Beetle and Zayante Band-Winged Grasshopper were listed as endangered by the United States Fish and Wildlife Service (USFWS) in 1997. 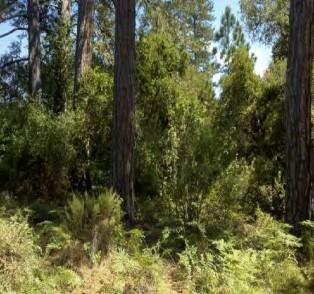 The areas identified in the County’s Interim Programmatic Habitat Conservation Plan (IPHCP) include several parcels in the Scotts Valley area along Graham Hill Road, Whispering Pines, Mt. Hermon Road, Bean Creek, Scotts Valley Drive, Lockhart Gulch Road, Green Valley Road, East Zayante and West Zayante; and several parcels in the Ben Lomond area located along Glen Arbor Road, Brookside Avenue, Newell Creek Road, and Highway 9. The parcels in the IPHCP are no larger than 1.5 acres in size and involve no more than 15,000 square feet of total ground disturbance on a single parcel. The project must also incorporate appropriate minimization measures to avoid or reduce impacts to the habitat. The IPHCP covers certain eligible small development projects (e.g., single family dwelling, garage, room addition, etc.) in densely developed residential neighborhoods that support habitat for the Mount Hermon June beetle and Ben Lomond spineflower. The City, County, and the US Fish & Wildlife Service have designated 10 Project Units (sensitive areas) for the IPHCP. 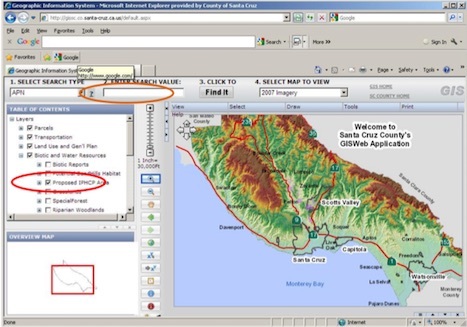 The Project Units occur within the vicinity of Mount Hermon, Scotts Valley, Felton, and Ben Lomond. The Project Units range in size from 3.2 acres to 373 acres. The 10 Project Units comprise 3,654 parcels, which collectively amount to 1,693.2 acres (including roads and common areas). Excluding roads and common areas, the 10 Project Units encompass 1,454.65 acres. The Project Units are comprised primarily of Zayante soils. They support a mosaic of Sandhills communities including remnant patches of sand parkland, ponderosa pine forest, and Sandhills chaparral communities. Each of the Project Units supports habitat for the Ben Lomond spineflower and Mount Hermon June beetle. The Rollingwoods Unit encompasses 184 acres. It contains 351 parcels, 339 (97%) of which are 1.5 acres or less in size. 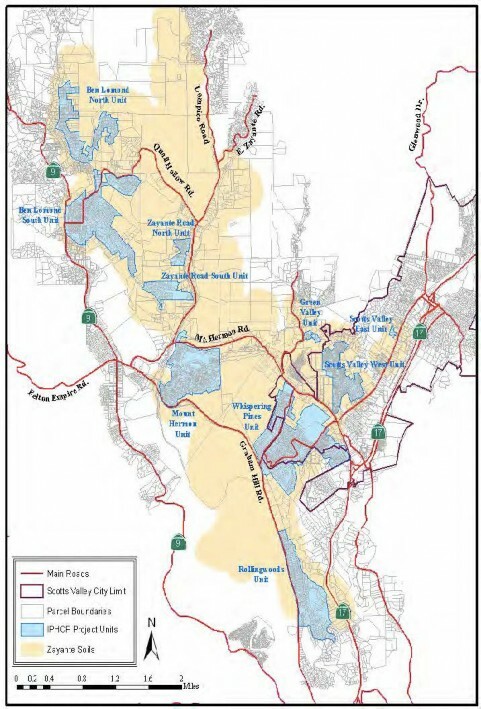 The unit is bordered by Graham Hill Road to the west, Pasatiempo Drive to the south, Rollingwoods Drive to the north, and lower-density residential development to the east. This entire Project Unit is within the jurisdiction of the County. The Whispering Pines Unit is 373 acres. It contains 892 parcels, 875 (98%) of which are 1.5 acres or less in size. The unit is bordered to the northwest by the Hanson Quarry, to the southwest by Graham Hill Road and Hidden Glen Drive, to the northeast by the Valley Gardens Golf Course and Mount Hermon Road, and to the southeast by low-density residential development. Two large parcels occur along Mount Hermon Road in the northeast section of the unit. While these parcels appear large in size, they are actually densely developed with hundreds of mobile home units. Therefore, they are included in this Project Unit. The County has jurisdiction over 131 acres of this unit, while 242 acres of the unit are within the jurisdiction of the City. The Scotts Valley East Unit is 3.2 acres in size. It contains 5 parcels, all of which are less than 1.5 acres in size. It is surrounded by larger, residentially developed parcels to the north, and commercial development to the west, east, and south. The unit is entirely within the jurisdiction of the City. The Scotts Valley West Unit is 109 acres. It contains 747 parcels, 736 (98%) of which are 1.5 acres or less in size. The Kings Village Shopping Center, to the southeast by Scotts Valley Drive and commercial properties, to the east by commercial and City properties, and to the north by undeveloped lands and low density residential unit is bordered on the west by the Kings development. Condominiums, mobile homes, and apartment buildings comprise a large portion of this unit. The City has jurisdiction over the entire unit. The Green Valley Unit is 9 acres in size. It contains 22 parcels, all of which are less than 1.5 acres in size. The unit is bordered to the south by a large storage facility, to the west by Lockhart Gulch Road, and to the north and east by low- density residential development. This unit is entirely within the jurisdiction of the County. The Mount Hermon Unit is 168 acres in size. It contains 534 parcels, 526 (98%) of which are 1.5 acres or less in size. The unit is bordered to the south by property owned by the Mount Hermon Association that is used for a lodge and environmental education center. Hanson Quarry borders much of the eastern boundary of the unit. The unit is bordered by Graham Hill Road to the south, East Zayante Road to the east, and Mount Hermon Road to the north. This project unit is densely developed with small summer homes and cabins built in the early portion of the 1900s. Many of the homes are now being expanded and transformed into full-year residences. This unit is entirely within the jurisdiction of the County. The Zayante Road North Unit is 26 acres in size. It contains 69 parcels, all of which are less than 1.5 acres in size. 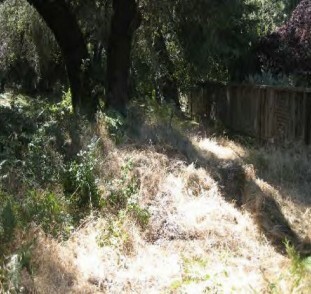 This unit is bordered to the east by West Zayante Road and to the north, south, and west by low-density, residential development. This unit is entirely within the jurisdiction of the County. The Zayante Road South Unit is 56 acres in size. It contains 78 parcels, all of which are 1.5 acres or less in size. This unit is bordered to the east by West Zayante Road and to the north, south, and west by low- density, residential development. This unit is entirely within the jurisdiction of the County. The Ben Lomond North Unit is 132 acres in size. It contains 346 parcels, 345 (99%) of which are 1.5 acres or less in size. This unit is bordered to the west by Glen Arbor and Brookside Roads, and to the east, north and south by lower-density, residential development. This unit is entirely within the jurisdiction of the County . The Ben Lomond South Unit is 260 acres in size. It contains 596 parcels, 593 (99%) of which are 1.5 acres or less in size. This unit is bordered to the east by Graniterock's Quail Hollow Quarry property and to the north, west and south by low-density residential development. This unit is entirely within the jurisdiction of the County. Larger development proposals and other projects that do not meet the criteria of the IPHCP require separate Board approval to use Conservation Credits to mitigate project impacts. The Plan requires landowners to take avoidance, minimization, and mitigation measures to help compensate for impacts of their projects on the two species. Protective measures in the Plan include minimizing construction-related ground disturbance from May 15 to August 15, which is the growing season of the Ben Lomond spineflower and the time period when adult Mount Hermon June beetles are in flight, minimizing exterior night lighting during that same period, avoiding impacts to native Sandhills plants, and minimizing landscaping that degrades habitat. The permitting process for projects located in Sandhills depends upon whether your property is located within the Interim Programmatic Habitat Conservation Plan (IPHCP) or in the Potential Sandhills Habitat area. To learn if your project is in Sandhill Habitat and how to obtain a permit the links below. If your property is located outside the IPHCP area or if the project doesn’t meet all eligibility requirements, you may still be able to develop on your parcel, however there are more steps involved. Any impacts to endangered species are allowed to be mitigated through purchase of conservation credits from the Zayante Sandhills Conservation Bank only upon approval from the County Board of Supervisors and, if applicable, through environmental review under the California Environmental Quality Act (CEQA). Planning Department staff will still review the project to determine if disturbance is minimized and is reasonable for the site. In order for staff to support a project in Sandhills, the applicant must show that all efforts to avoid and minimize impacts have been considered and implemented to the maximum extent feasible. Once plans are received that staff feel are approvable, a short staff report is prepared and put on a Board of Supervisors meeting as a “consent” item. If the Board of Supervisors approves of the purchase of conservation credits, planning staff can approve the plans. In some cases, where the proposed project meets all eligibility criteria (listed above) except for the size of the parcel (the parcel is over 1.5 acres), the parcel may be included within the IPHCP. These projects may be processed according to the IPHCP Processing Chart below. 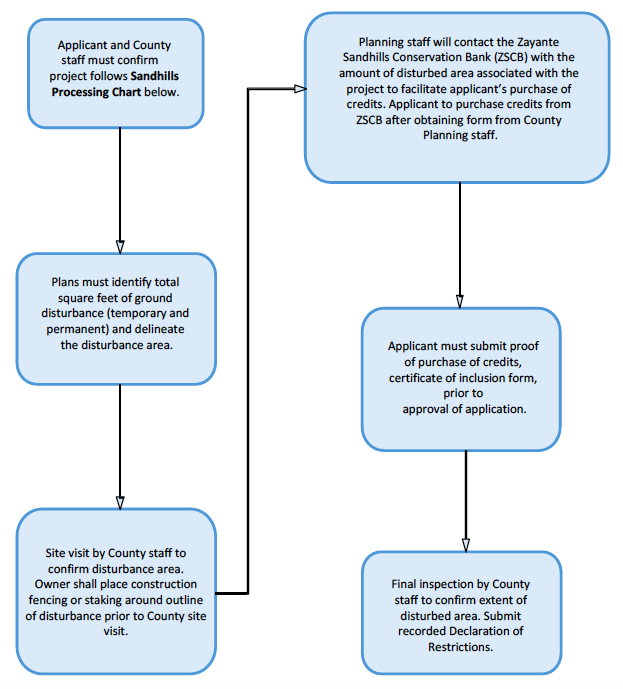 For all other projects refer to the Sandhills Processing Chart. Once the application has been approved by the Planning Department the applicant is still required to obtain an individual take permit (ITP) from the United States Fish and Wildlife Service (USFWS) prior to any site disturbance. The ITP applications are prepared by a USFWS approved biologist (Jodi McGraw and Richard Arnold, and are currently the only USFWS approved biologists for Sandhills ITPs). Contact USFWS at (805) 644-1766 for more information. In the event of a sale or transfer of ownership of a parcel within the boundaries of the IPHCP during the term of the signed Certificate of Inclusion, the new landowner may assume the rights and obligations under the Certificate of Inclusion. 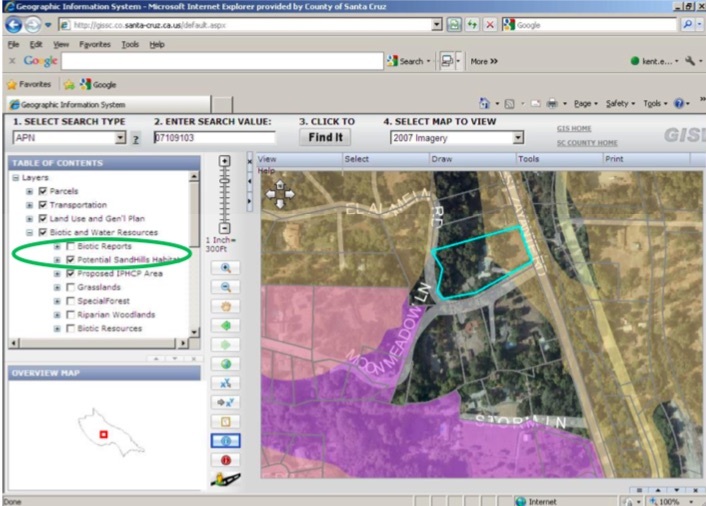 If your parcel is in the IPHCP Area, it will show up on the GIS with a purple overlay (an example is shown below). If your parcel is not located in the IPHCP Area, you can check to see whether your parcel potentially contains Sandhills habitat by also selecting “Potential Sandhills Habitat” from the Table of Contents, and clicking “Find It” again. If your parcel is potentially located in Sandhills habitat, there will be a tan-ish colored overlay on the parcel. 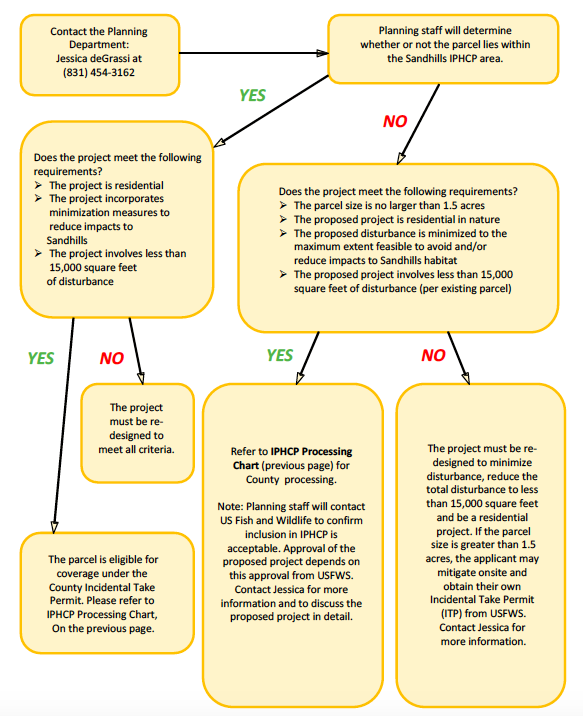 The following 2 charts show the Permit Process in the IPHCP areas and the process for projects that do not meet all eligibility requirements of the IPHCP. The Zayante Sandhills Conservation Bank assists Sandhills property owners to meet federal and local requirements and help advance conservation of this unique ecosystem by limiting habitat loss and promoting compliance with project mitigation measures while respecting the needs of homeowners in the protected areas. 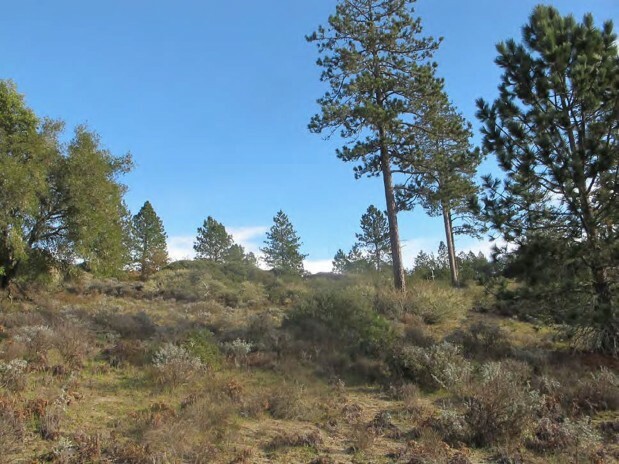 The Zayante Sandhills Conservation Bank (ZSCB) is dedicated to preserving, enhancing and restoring key parcels of Sandhill habitat in Santa Cruz County. ZSCB offers a creative, habitat-based solution to preservation and recovery of rare and endangered Sandhill species in the region. By focusing on large, contiguous areas of high quality habitat, ZSCB offers marked biological advantages to piecemeal regulation of fragmented and/or partially developed sites. ZSCB also facilitates a more coherent, straightforward regulatory framework for those property owners who are seeking compliance with state and federal laws pertaining to endangered species. ZSCB was formed in 2004, approved by USFWS in 2006, and formal operating agreements between the Bank and USFWS and the County in 2010, and has provided landowners with a relatively affordable mitigation option through the purchase of conservation credits. Prior to the implementation of the bank, landowners faced two major difficulties obtaining approval for development projects in the Sandhills. The first impediment was lack of a reasonable mitigation option to compensate for project impacts. 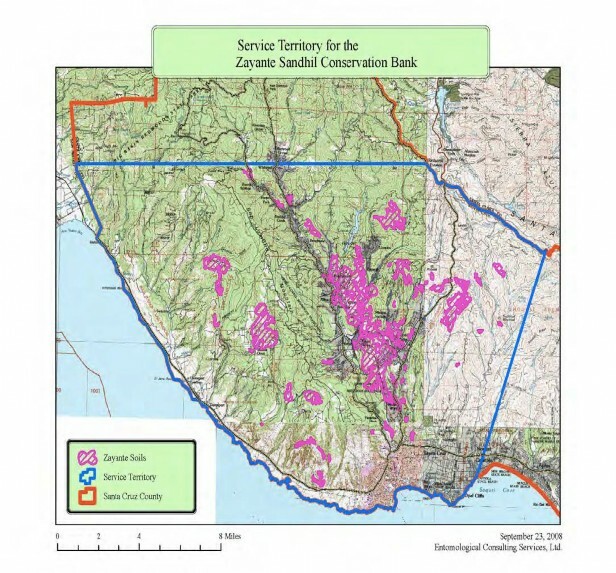 Establishment of the Conservation Bank and formal agreements between the Bank, US Fish & Wildlife, the County of Santa Cruz and the city of Scott’s Valley, provide eligible landowners a relatively affordable mitigation option through the purchase of credits. The second difficulty was procedural in nature and involved obtaining the necessary authorizations from USFWS, and the County or City. Implementing the operating agreement between the Bank and County eliminated the major procedural hurdle for the County to issue permits once federal requirements have been satisfied. In addition to helping property owners in the Sandhills, it’s important to recognize that providing a mechanism for mitigation banking benefits the Sandhills ecosystem. This approach allows Sandhills preservation and management to be done on a larger scale with the benefit of dedicated funding to implement a detailed adaptive management and monitoring plan. The Ben Lomond Sandhills Preserve (Preserve) is an approximately 22-acre preserve protected as part of the Zayante Sandhills Conservation Bank (ZSCB), which was established to preserve, enhance, and restore key parcels of Sandhills habitat in Santa Cruz County, and recover populations of rare and endangered species they support. 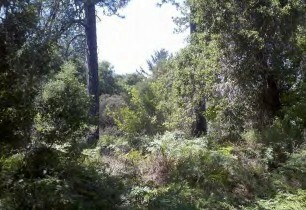 The Preserve is located in central Santa Cruz County near the unincorporated town of Ben Lomond. To the east it abuts the 220-acre Quail Hollow Quarry, which features a 110-acre mine surrounded by 110 acres of conservation and buffer areas. The other three sides of the Preserve adjoin residential parcels. 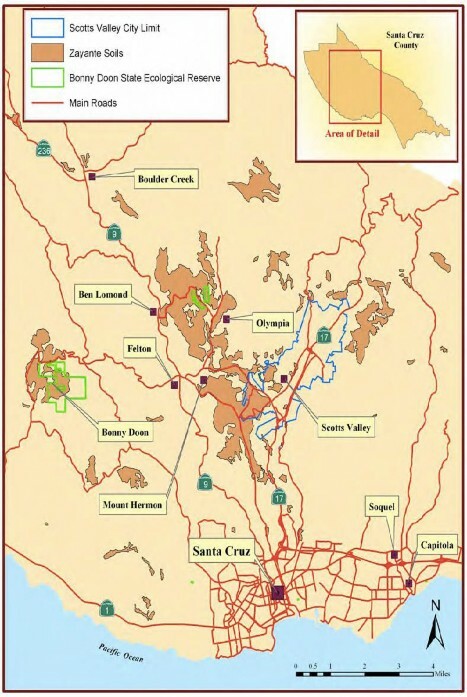 As part of the ZSCB proposal approved by the US Fish and Wildlife Service and County of Santa Cruz, ZSCB preserves are managed in perpetuity following the approaches outlined in the Adaptive Management and Monitoring Plan for the Zayante Sandhills Conservation Bank (Plan; McGraw 2006). The Plan describes the habitat management, maintenance, and monitoring tasks to be implemented in an adaptive management framework in order to achieve biological goals and objectives for the endangered species and sensitive communities within the Preserve. 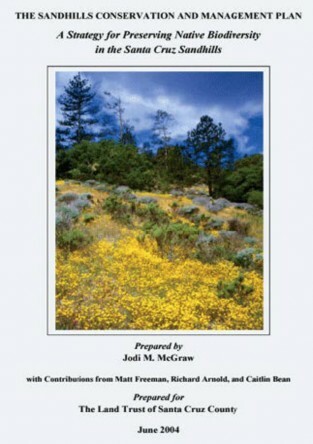 The California Native Plant Society is dedicated to celebrating California's native plant heritage and preserving it for future generations http://www.cnps.org/"
Copyright ©, - All web site design, text, graphics, content, the selection and arrangement thereof, and all software Copyright ©, Zayante Sandhills Conservation Bank, ALL RIGHTS RESERVED. Any use of materials on this web site--including reproduction, modification, distribution, or republication--without the prior written permission of Zayante Sandhills Conservation Bank, is strictly prohibited.